There she stood, a little shabby perhaps but still proud. The paint had faded from the sides of the building, but the grand front entrance was still kept up to standard. Flagpoles that should have held banners from many nations were empty, only the national flag of the Philippines flopped lazily in the breeze. The Manila Hotel, symbolic of all that I felt about this wounded city. I walked up to the front door, and two tall men in crisp white uniforms and turbans opened the doors. After a quick show of a pat-down (after all I was a Westerner), they let me in to the main room. It was all that one would expect of the fanciest and most historic hotel in the Philippines. A huge row of gaudy crystal chandeliers hung from the ceiling, large slow-moving palm fans cooled the room. Wafts of smoke from the businessmen, smoking shisa along with their beautiful consorts, drifted in the air. Faint classical music floated to my ears, I looked up to see a tuxedo'ed man at the end of the hall playing on a grand piano. Nice touch. I wandered around and soon came to the Champagne Room. A white tuxedo'ed butler with white gloves looked at me with askance. Apparently my headband, torn shorts, and sweaty T-shirt weren't regular attire for this spot. I peeped in to see white linen, rows of cigars behind glass, and more butlers staring at me with disdain, eyebrows raised. I gave up and wandered to the bar, deciding to see how much lunch would cost. Surprisingly, it was only $5 for spring rolls and $3 for a beer. Well, I was the famous Nemo after all! Might as well blow some cash and live it up at the world famous Manila! I didn't make it to the Collection Room, where apparently there are signed photos from Bill Clinton, a lean and spry Dean Martin, and other celebrities from the golden years. But today, the world has moved on from Manila for good reason. The Philippines has a tortured modern history, much like many other territories around the world that were pawns of the global game of Empire. Magellan met his ignoble end here, and the Spanish ruled for 300 years before they got booted by the Americans at the turn of the 20th century. On Dec. 8, 1941, 8 hours after the bombing of Pearl Harbor, the Japanese began their attack on Manila. 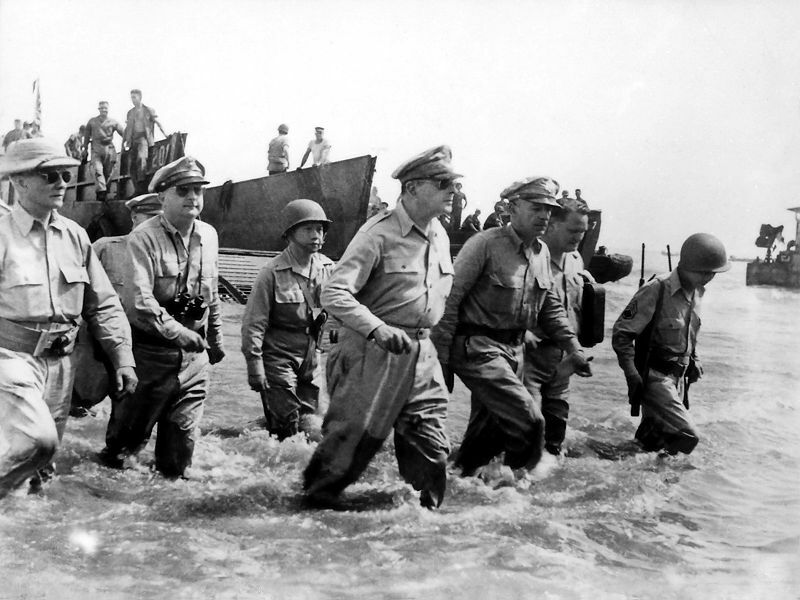 General Douglas MacArthur was in command of the US forces, which quickly withdrew to Corregidor Island to defend Manila Bay. MacArthur was ordered to abandon his troops and withdraw to Australia. He famously declared "I shall return!" The US troops were vastly outnumbered and the island fell 4 months later. The troops were marched 63 miles to a prison camp in the infamous Bataan Death March, during which 10,000 soldiers died. MacArthur did finally return in 1945, and thus begun several incredible naval and land battles: the Battle of Leyte and the Battle of Manila. The Battle of Leyte was the largest naval battle in history, after which the Japanese Navy was effectively destroyed and the US had their final staging post for launching an assault on the home islands. 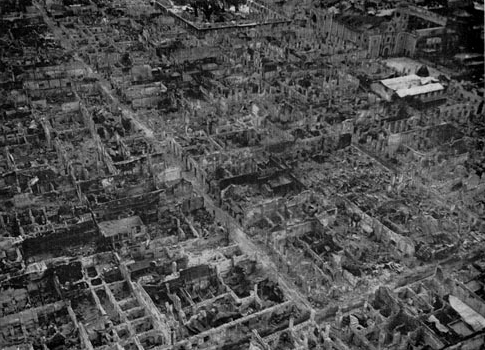 The Battle of Manila was even more brutal, the US employed heavy artillery directly in the civilian populations and razed the entire city. Over 100,000 civilians were killed and the city was flattened. The historic heart of the Philippines, the walled city of Intramuros, was wiped off the Earth. The loss of life and scale of destruction was comparable to the fire-bombing of Tokyo and the atomic bombing of Hiroshima. From Wikipedia: "Filipinos lost an irreplaceable cultural and historical treasure in the resulting carnage and devastation of Manila, remembered today as a national tragedy. Countless government buildings, universities and colleges, convents, monasteries and churches, and their accompanying treasures dating to the founding of the city, were ruined. The cultural patrimony (including art, literature, and especially architecture) of the Orient's first truly international melting pot - the confluence of Spanish, American and Asian cultures - was eviscerated. Manila, once touted as the "Pearl of the Orient" and famed as a living monument to the meeting of Asian and European cultures, was virtually wiped out." So it was with mixed feelings that I wandered up to what is now called Intramuros. About all that is left are some crumbling walls and some rebuilt churches. The rest of the historic area is just a collection of ramshackle nameless buildings and the usual clutter of any modern Asian city. Manila certainly has some nice areas, like Rizal park and the upscale neighborhood of Makati, filled with shopping malls. But like LA, it was a city without a heart. Sadly I wandered along the smelly waterfront back to the neighborhood where I was staying. At least it had a Starbucks.